With Memorial Day behind us and the 1st of June a couple days away, it seems like it is time to announce my family's Summer Bucket List! 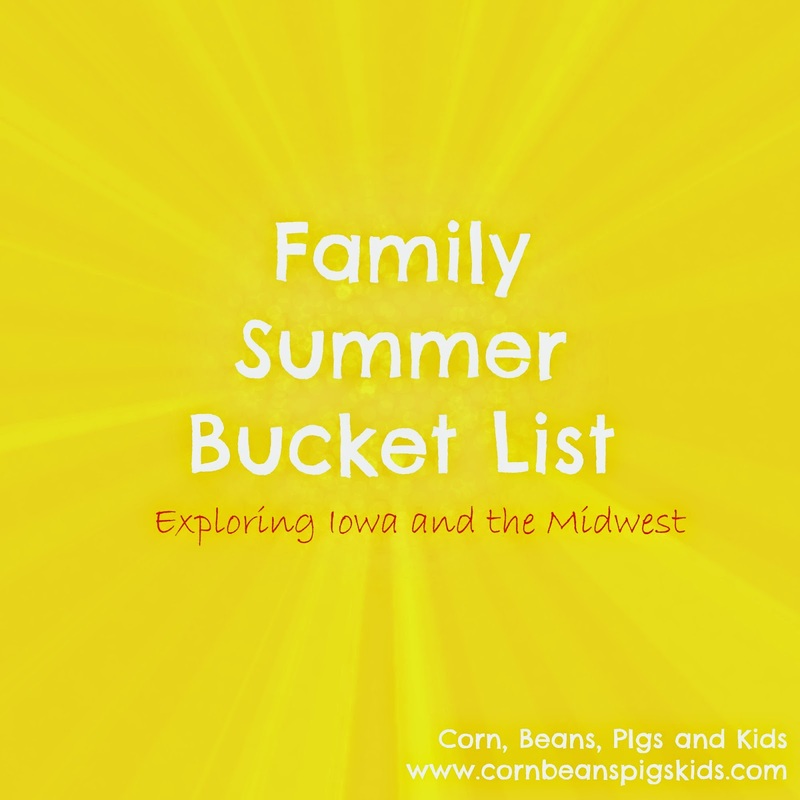 This year our family came up with a list of 10 things to do this summer that lead us to explore our backyard of North Iowa, some places across Iowa, and to travel the Midwest. Combine this list with our Family Summer Bucket List from last year, and it looks like we have a fun summer ahead of us! 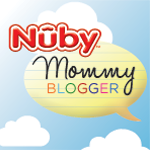 We are so excited to check these items off our list and to share our experiences on the blog! What is on your Summer Bucket List? Remember to Comment for a Cause! 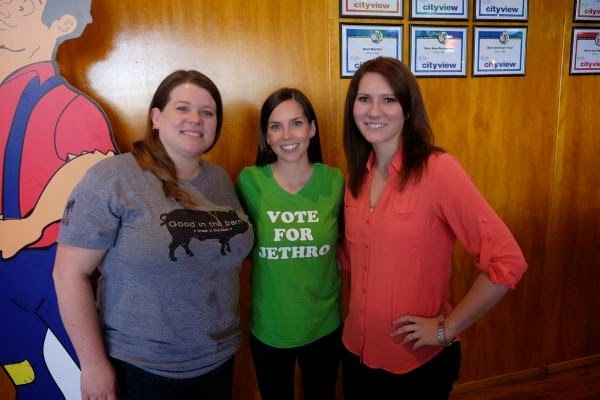 This month I had the pleasure and opportunity to talk Pork through the Iowa Food & Family Project's blog and through an event at Jethro's in Johnston as part of their "Join my Journey" program. 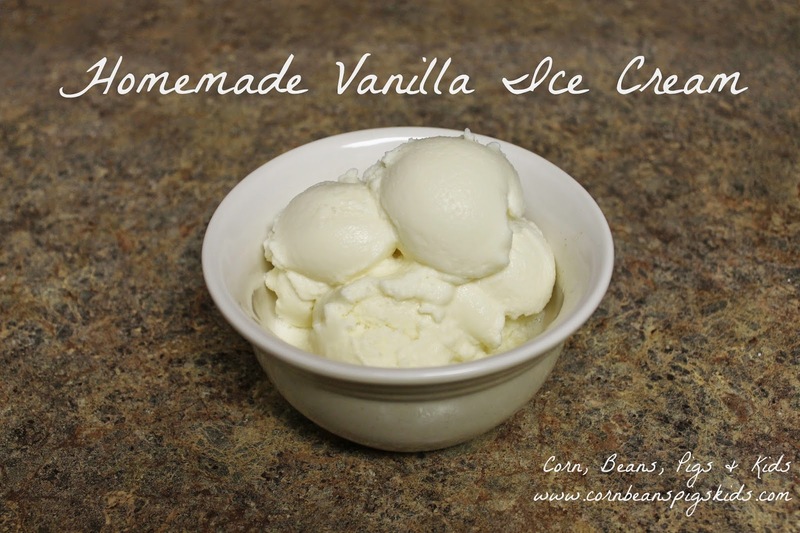 Be sure to check out the Iowa Food & Family Project's blog today to check out some of my favorite pork recipes, because afterall, every day is a great day to have have pork on your fork! What is your favorite pork recipe? Remember to Comment for a Cause! Why does it seem that today's culture has turned so many holidays into something else. Memorial Day was established to honor our country's fallen soldiers and today it seems to have just turned into another three-day weekend. Since our nation first began fighting for our freedom in the 1700s, more than one million Americans have lost their lives while serving our country. 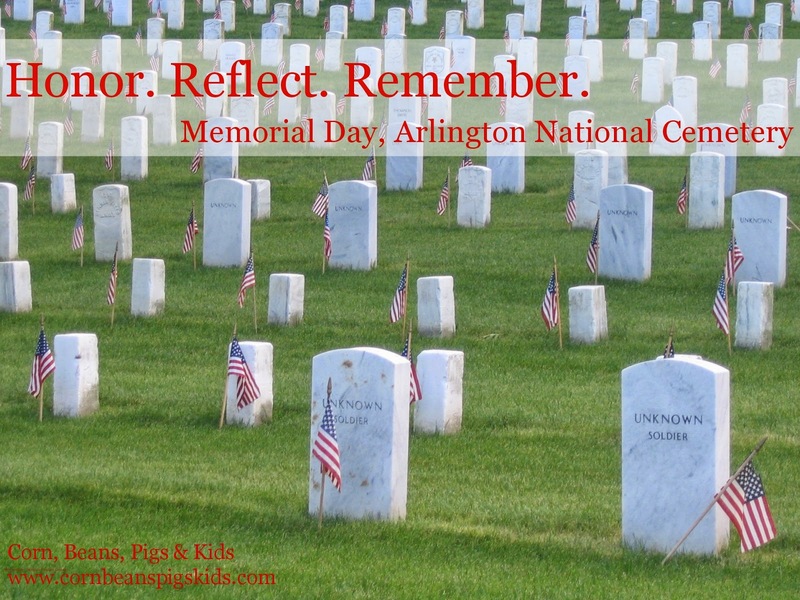 Today's blog to remind everyone what the real "reason for the season" is and to put "Memorial" back into your Memorial Day weekend. I am proud that my kids, only being 3 and under, know the tradition of visiting the graves of past loved ones and praying for them. I am proud that today we celebrated as a family and were also able to talk to my youngest sister who is currently deployed in Kosovo. I am proud to show my patriotism through simple things like flying a flag, to more involved things like being a township delegate at my county's convention the last several years. Lastly, I am proud, and forever grateful for the service of all our men and women over the years who have fought and are continuing to fight for our country's independence. Happy Memorial Day and Blessings to All of You! How did you put "Memorial" into your Memorial Day weekend? Remember to Comment for a Cause! And just enjoy a nice day and play with your kids. I hope you all had as great of a day as I did today. (And how in the world did it get to be Wednesday already?!) Remember to Comment for a Cause! 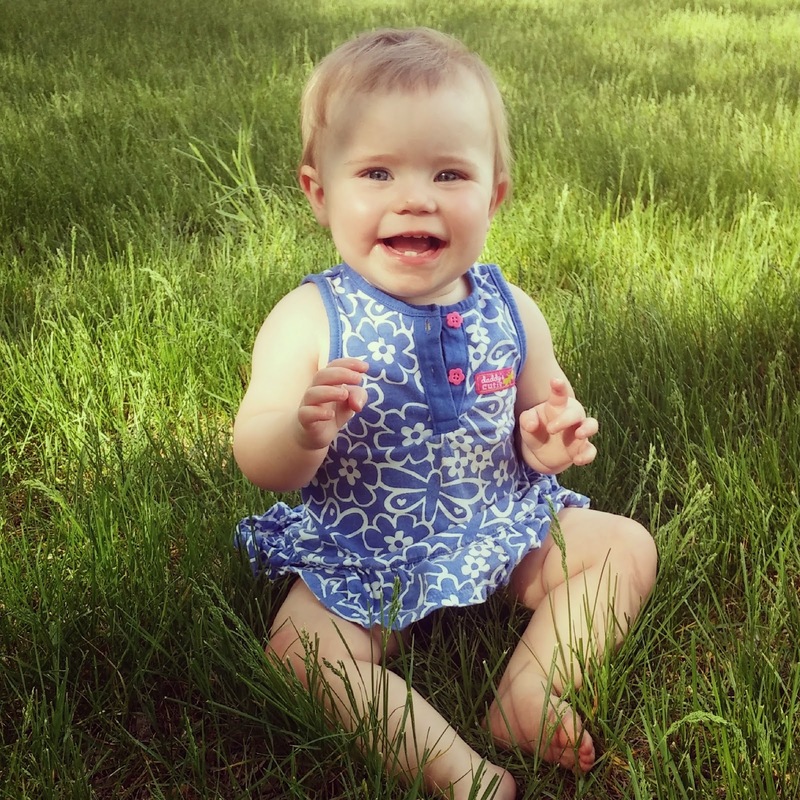 Wordless Wednesday - Signs that Spring FINALLY arrived! Now I just need to get them planted! What is your favorite sign of spring? Is spring delayed where you live? Remember to Comment for a Cause! Place your garden in a well drained soil. You should pick a level area to help with drainage and also to limit erosion. Pick an area with full sunlight. Most vegetables need at least 6 hours of sunlight. If you garden is going to be close to a building structure or your home, consider placing it on the south side if available or on the east or west side. 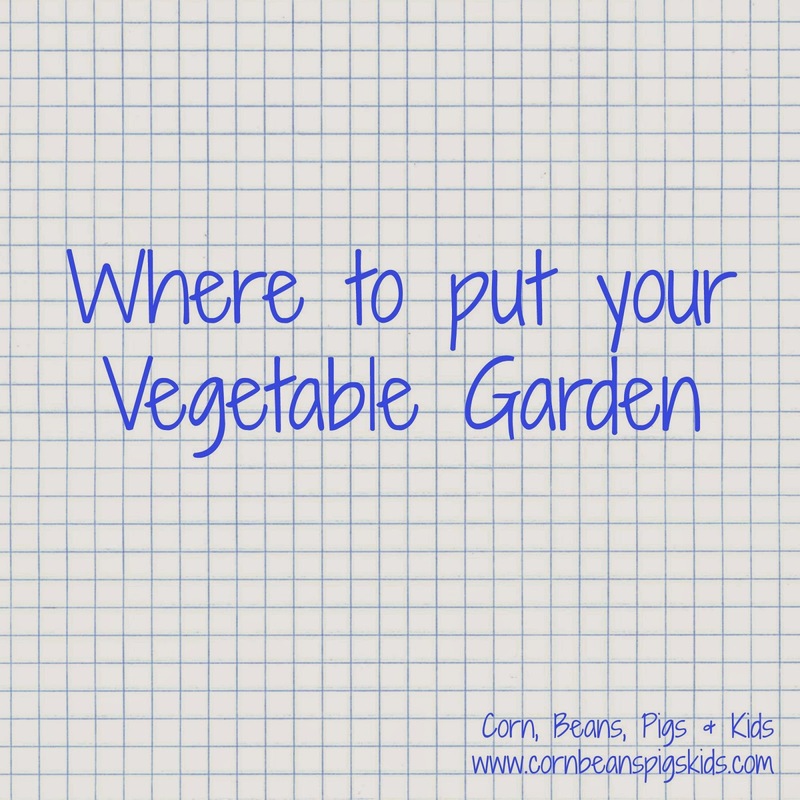 Be sure to place your garden away from trees and shrubs. Trees and shrubs will compete with your garden plants for water and nutrients. Now at the same time you'll need to keep your garden away from high traffic areas. Don't place your garden where your kids like to run around and play and don't put it where vehicles (and tractors if you're like me) drive. This year, similar to past years, I'll be planting a salsa garden. I love canning salsa and pizza sauce, plus I think salsa garden vegetables are relatively simple to take care of. 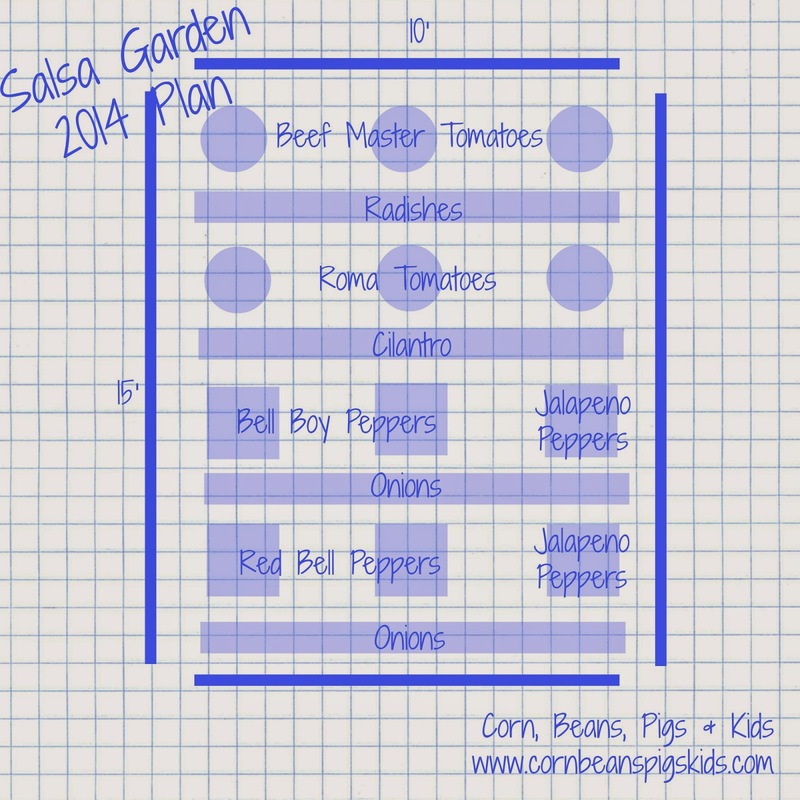 Below is an outline of my garden this year. I'm going to intercrop my garden between long-season vegetables (i.e. tomatoes, peppers), next to short-season vegetables (i.e. radishes, onions). The short-season vegetables will be harvested before the height of the summer and will be removed, allowing more room for the long-season vegetables. Do you plant a garden? What plants are you including in your plan for this year? Remember to Comment for a Cause! Happy May Day everyone! It is the first of the month and time to report my Comments for a Cause results for the previous month and announce the new month's cause! 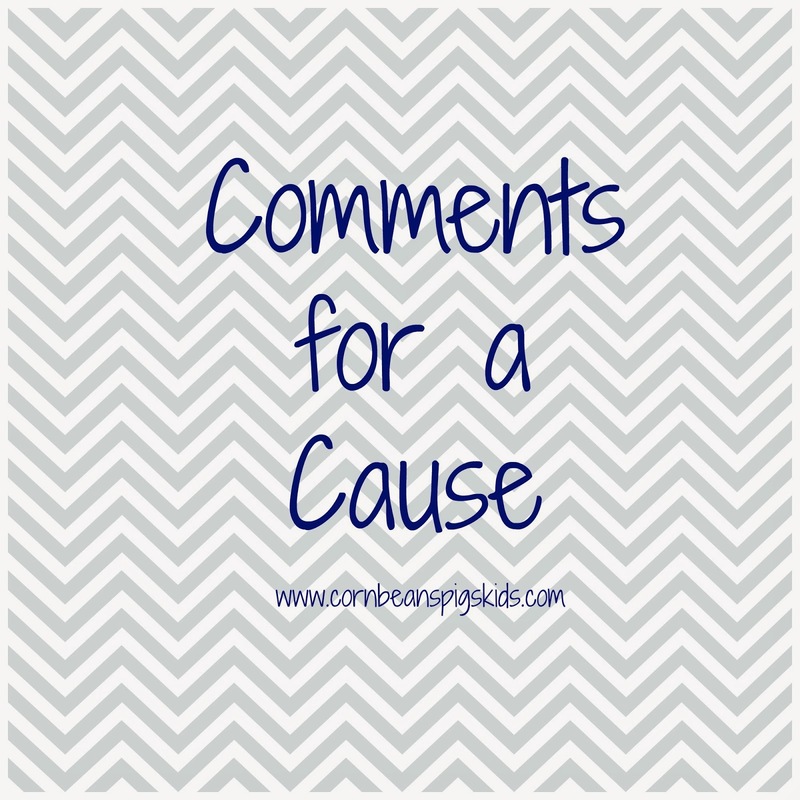 So first thing, in the month of April I had 30 comments while equals a $15 contribution to the Wennerstrom Family Mission Trip to Honduras with Prairie Ridge Church. 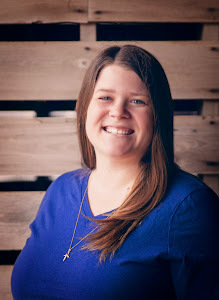 I'm happy to support the Wennerstrom Family's Mission Trip and pray that they have a safe trip to Honduras and that each of their faiths is enriched by the experience. Team Red White and Blue also known as Team RWB is a national non-profit organization which strives to enrich the lives of America's veterans by connecting them to their community through physical and social activity. The team is in place for veterans returning home from Iraq or Afghanistan who are transitioning back to their lives at home. However you do not need to be a veteran to be part of the team. We rely on our community members to help bridge the gap between the military lifestyle and the civilian world. 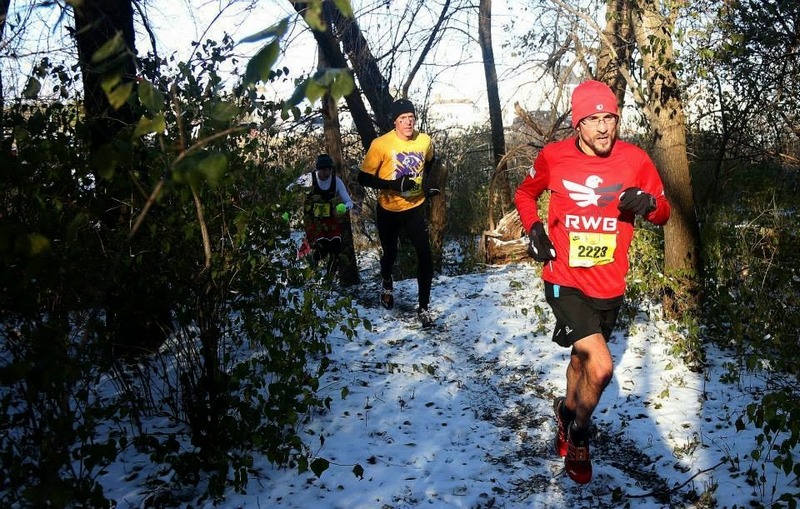 Team RWB is building strong communities across the country. Team RWB Des Moines and Team RWB Cedar Rapids / Iowa City are growing communities right here in Iowa. We engage veterans and community members alike to workout together on a weekly basis. We also encourage members to compete in local athletic events such as 5K's, mud runs, bike rides, Marathons, Triathlons, Crossfit games, GORUCK events, and several other challenging adventures. 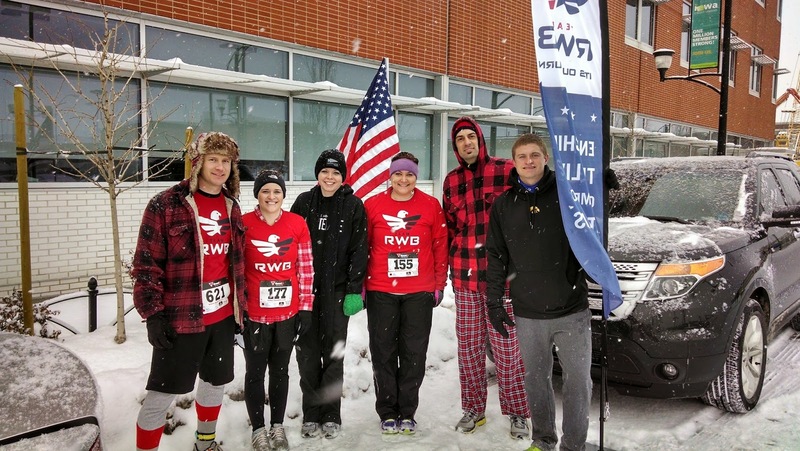 The social aspect of Team RWB provides members with another opportunity to build strong relationships. We meet up for BBQ's, tailgates, and we've started our own breakfast club to experience all that Des Moines' diners have to offer. That's what we do, but the Eagle Ethos gives you an idea of why we do it. Let me start with a little background about myself. I enlisted in the Marine Corps after graduating high school. I was stationed 1,000 miles away from home for over 4 years and deployed to Iraq in 2006 and 2008. After returning from deployment in 2008 I married my high school sweetheart and made the transition from living in the barracks on base with a few hundred Marines to an apartment in West Des Moines with my wife. One day I was wearing a uniform familiar with my daily routine and the next day I was driving half way across the country finding my way back home. I connect with the camaraderie within Team RWB and the effort to assist veterans during their transition from active service to civilian life. I had a strong support network of family and friends to rely on, but I was the only veteran in my circle of friends. I lost touch with the camaraderie of the military lifestyle. After finishing my degree and being in the workforce for 3 years I had finally come to know a few dozen veterans who had similar life experiences and who I felt most comfortable around. 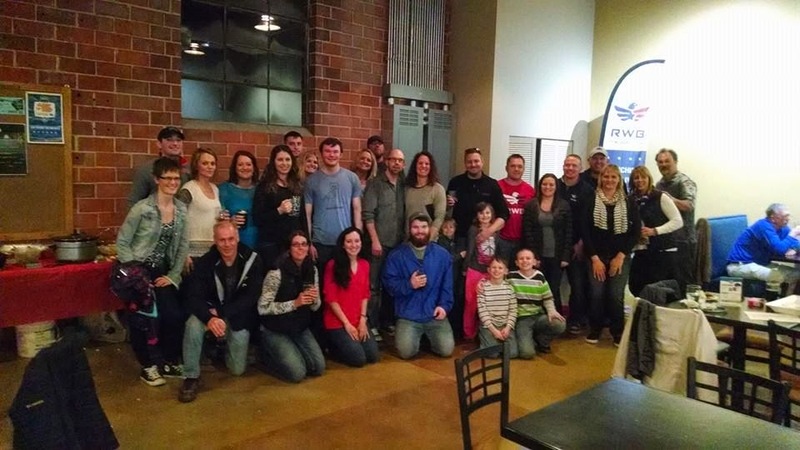 When I read about Team RWB in the Marine Corps Times I was inspired to build a community here in Des Moines. I've reached out to everyone I know to spread the word about Team RWB and establish key relationships within supporting organizations. We have a membership of approx 250 with about 150 veterans and 100 community members. Des Moines has an awesome leadership team and we are taking steps to become a strong local resource for veterans. So lets be sure to Comment for a Cause a lot this month to support this growing organization helping so many veterans and communities across the United States! I know how much this group means to my family members who are veterans. Veterans are looking for this camaraderie and community when they return to civilian life and Team RWB is filling this need and a want to level that I don't think these veterans realized they needed and wanted. Do you know a new Veteran looking for a community like this? If so, share with them about Team RWB!